LifeNews, a Russian tabloid, serving as one of the key propaganda news resources in Russian, utilizes social media to disseminate manipulations and fabrications covering Ukrainian events. The sophisticated work of the newsroom anticipates the active use of Twitter and YouTube. On May 18, 2014, Ukrainian military seized in Donetsk region two Russians who claimed to be journalists of LifeNews. Ukrainian law enforcement agencies accused Russians of “cooperation with terrorists”, fighting against Ukrainian army near Sloviansk. In response, LifeNews launched the campaign calling to “save our guys”. 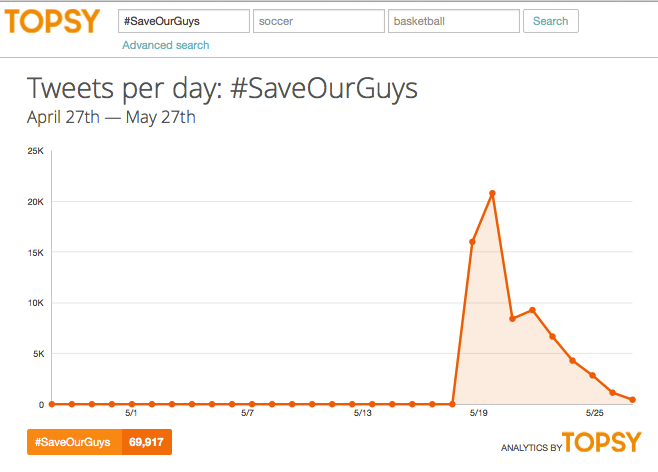 Only in Twitter up to 70,000 tweets have been published with hashtag #saveourguys. Russians also appealed to UN and OSCE demanding to free their “journalists.” Ukrainians published evidences of close cooperation between LifeNews representatives and terrorists. Meanwhile LifeNews continues to manipulate – the recent false they circulated was the news about “killed child” during the anti-terrorist operation in Donetsk airport on May 27. 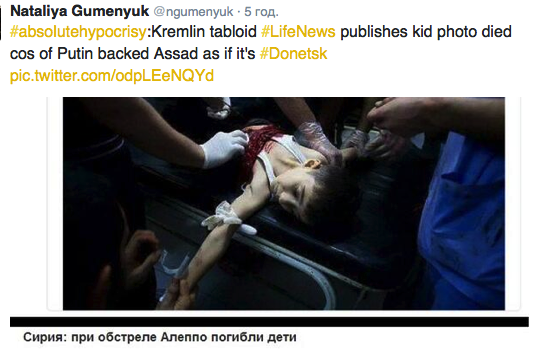 The photo taken to illustrate the “cruelty” of Ukrainian army against civilians, in fact, was a photo from Syria. Note: LifeNews.ru was launched in 2009 as a yellow news site and since then it became one of the main news source for the Russian audience. Since its launch, the site started paying fees for video footage from witnesses. In 2013, a news TV channels was set based on the Lifenews site. 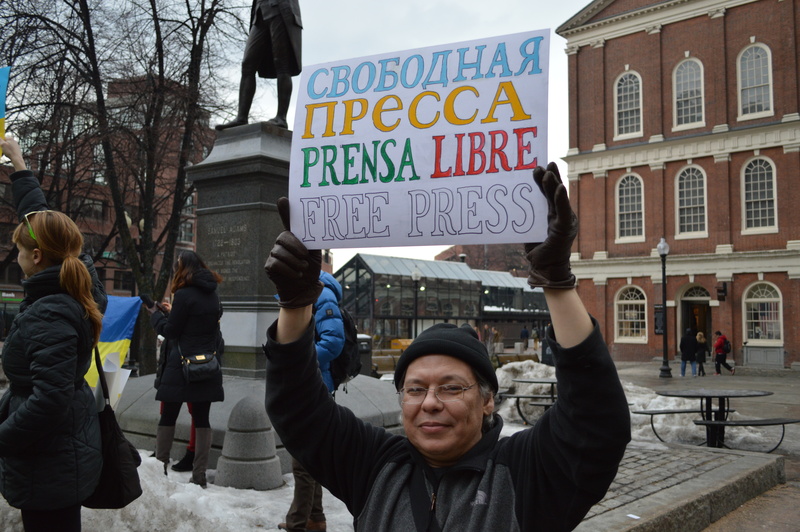 It has journalists in 20 Russian cities. 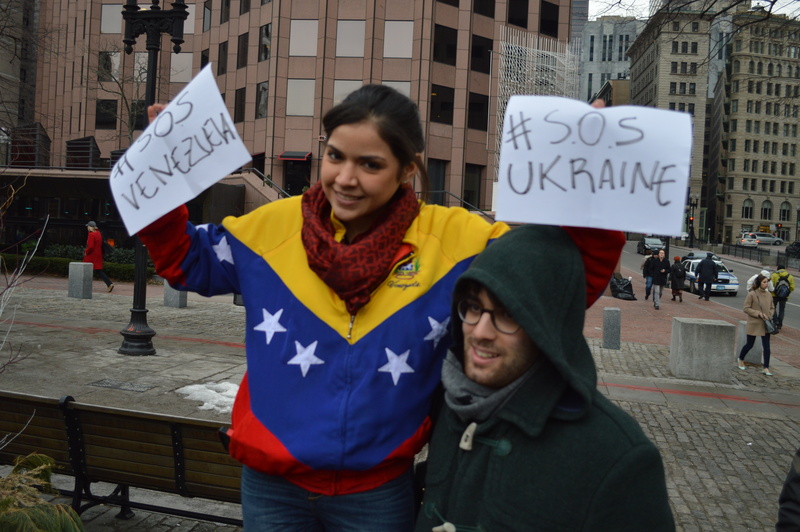 A joint rally by Ukrainian and Venezuelan communities living in Boston was organized on March 2nd. 2014. 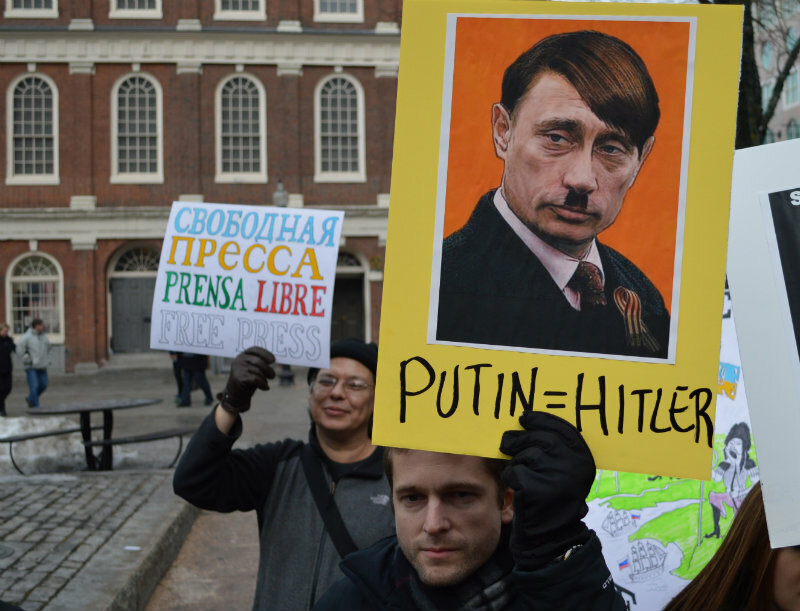 The protesters called Russia to withdraw their military from Crimea and stop Venezuelan government to attack citizens demanding freedom and human rights in Venezuela. 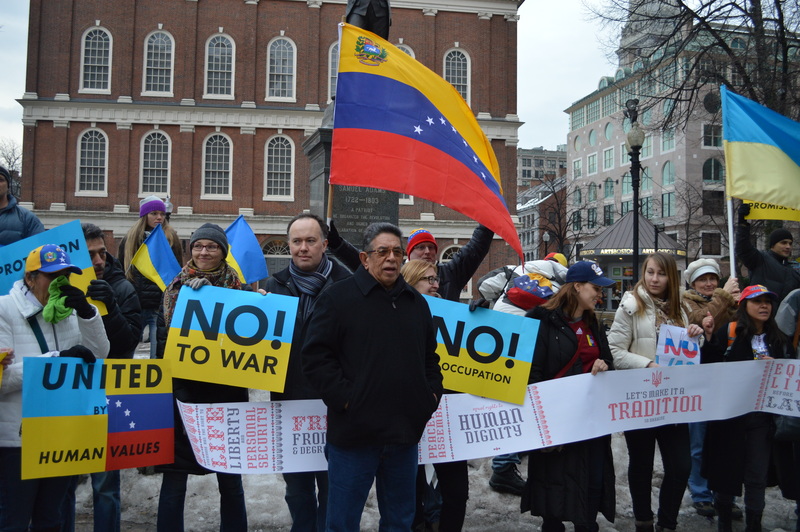 About 80 participants came on Sunday in front of the monument of Samuel Adams, one of the Founding Fathers of the United States. 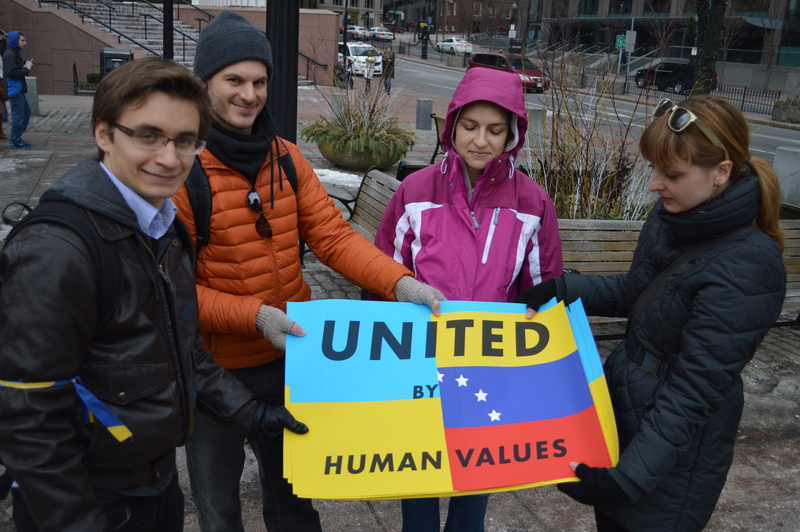 In their speeches Ukrainians and Venezuelans supported the people of two countries by encouraging them to fight for their independence and human rights. On March 1, 2014 Russia has started a military operation against Ukraine by sending troops to Crimea. 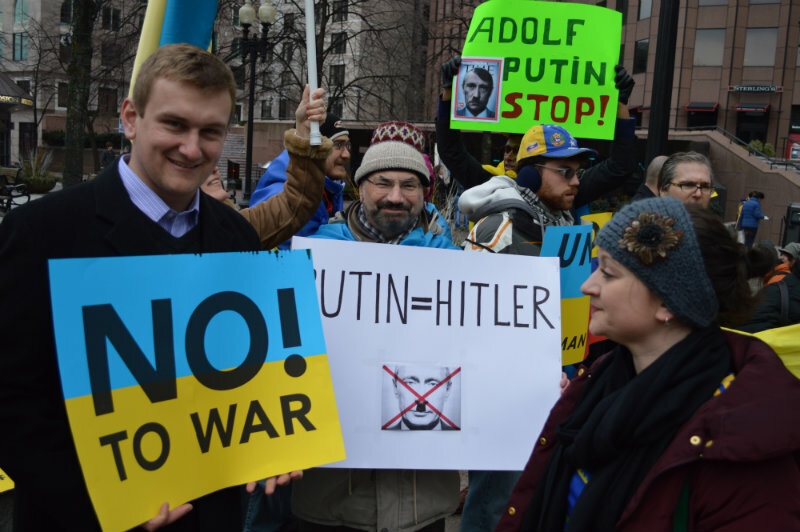 Seen as an act of aggression of Russia against independent Ukraine, the international community reacted immediately – Western governments urged Russia to withdraw its troops from the peninsula. On the eve of the conflict Obama warned Russia to avoid military conflict but Putin ignored the White House. The diplomatic pressure on Russia has been exercised by dozens of governments – the UK called his ambassador back from Moscow, the United Stated and EU called for economical sanctions against Russia. Also all G-7 states cancelled the Group of Eight meeting to be held in Sochi, they also plan to expel Russia from the G-8. Meanwhile, Ukrainian government chose a tactic of peace – not to provoke the development of force scenario and requested an assistance within international community. 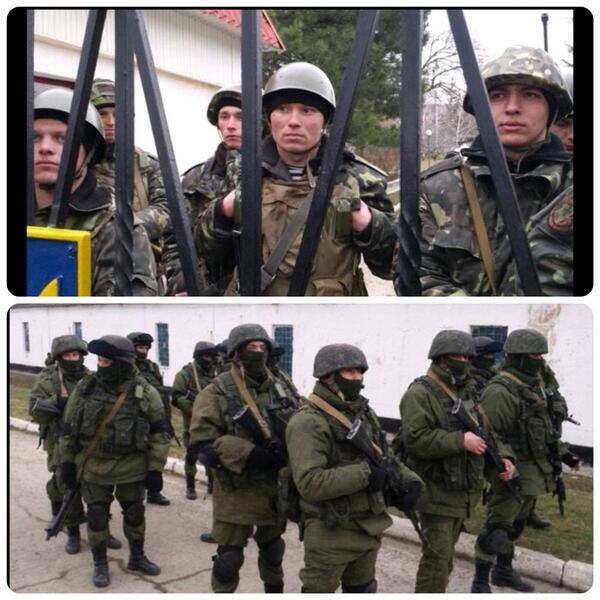 Ukrainian soldiers in Crimea were confronted by Russian military who used power to seize military bases. 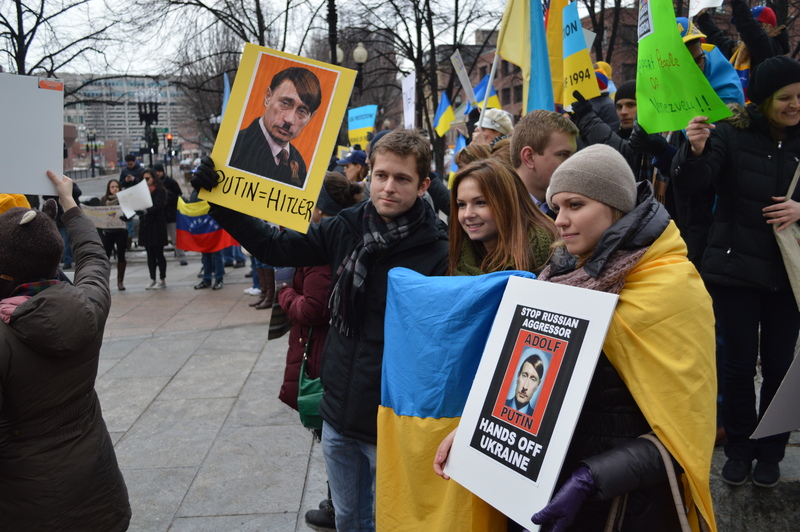 The Ukrainians will fight. For the past few days, the Russian military has attempted to provoke the Ukrainians into making the mistake the Georgians made in 2008: shooting first. First, Russia sent unmarked troops off their base in Sevastopol; the Ukrainians did not take the bait. Next, the Russians sent armored units up the road to Simferopol, the capital of Crimea, but still the Ukrainians did not respond with violence. Then these unmarked troops took over airfields and administration buildings around Crimea, effectively occupying the peninsula. The Ukrainians put their military forces on high alert and called up their military reserves — but have not attacked. This restraint is wise but agonizing. If the Russians attack Ukrainian forces in Crimea or eastern Ukraine, the Ukrainian military will respond, and the war would be terrible.